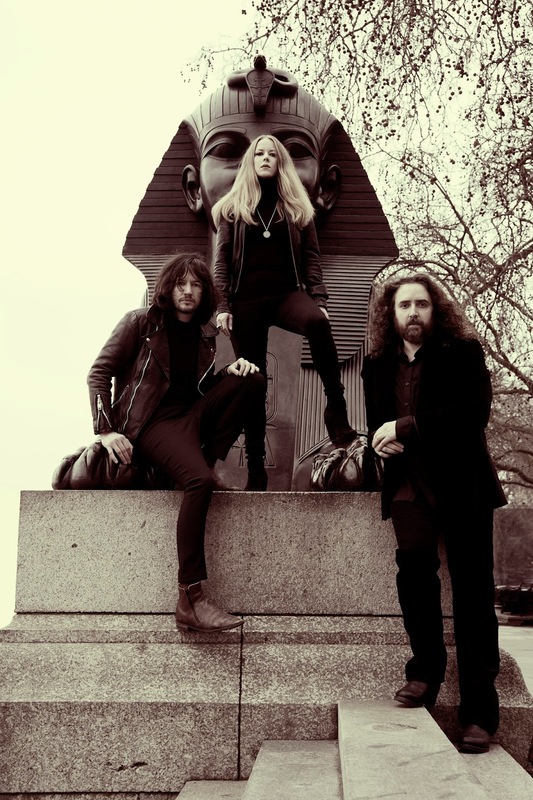 Let's get right to the point: Lucifer is the best new Heavy Rock act in decades. Fronted by captivating German singer Johanna Sadonis and boasting former Cathedral/current Death Penalty member Garry “Gaz” Jennings on guitar, Lucifer hits listeners with a jaw-dropping blend of classic Black Sabbath, Pentagram, Coven and Blue Oyster Cult wrapped up and presented by Sadonis' soaring voice. 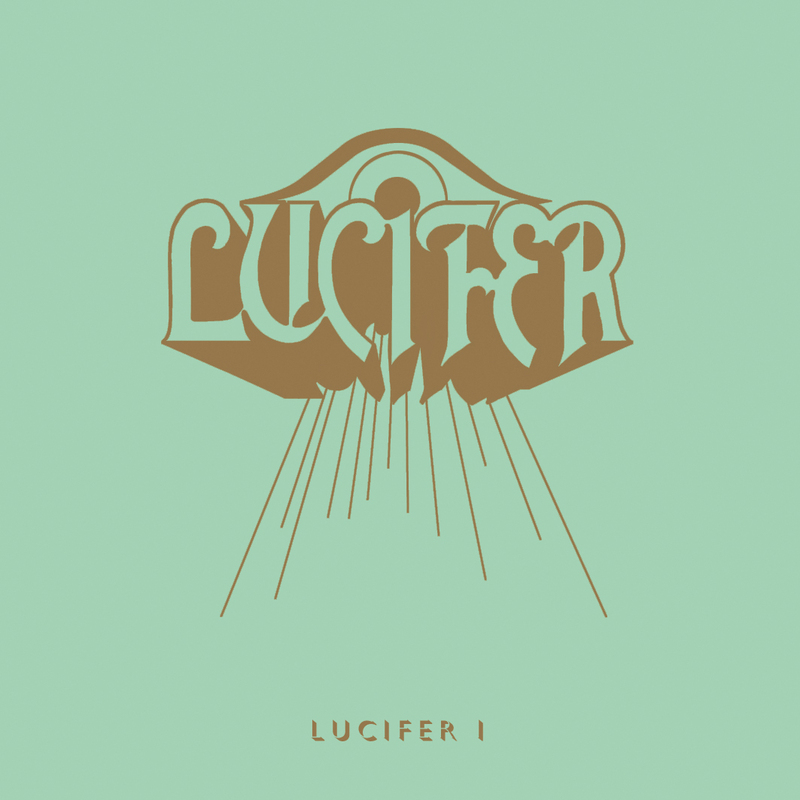 While countless bands try to emulate the vibe and character of these past greats, Lucifer actually succeeds while also building their own intriguing identity. Sadonis first gained international attention with The Oath, whose brief (and much-hyped) run lasted for one incredible self-titled album before crashing and burning last spring with absolutely no public warning. Thankfully, Sadonis quickly rose from the ashes to create the musical and visual concept of Lucifer. 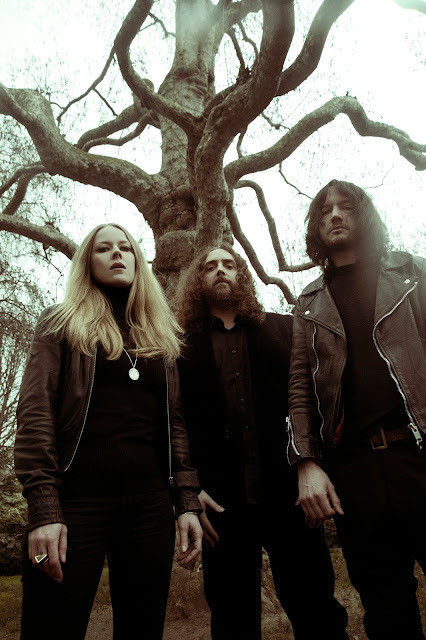 Rounded out by Angel Witch drummer Andy Prestidge and former Ladytron touring bassist Dino Gollnick, the band is set to release their full-length debut, Lucifer 1, on June 16 via former Cathedral/Napalm Death frontman Lee Dorrian's label, Rise Above Records. As those of us blessed with an advance copy already know, this record is absolutely the real thing. Sadonis was kind enough to fill me in on all things Lucifer during her recent early morning call to me from Berlin. Around this time last year, there was obviously a lot of interest and excitement surrounding The Oath. To start with a question I'm sure you hear quite a bit these days, what happened? It seems like that band ended before it even began. Yeah, it did, unfortunately. I did have a lot of plans for The Oath, and it was not supposed to end so prematurely. I was actually devastated when it ended. I don't want to go into too much detail, but you could say it was like a fiery love affair, where everything happens very fast and you burn up all the energy very fast. It worked out really well with the songwriting, but personally it didn't work... I thought that instead of becoming all depressed, I'd just take all this energy and channel it into something creative. I sat down and plotted out Lucifer, and that's how this thing came about. What was your biggest lesson from the Oath experience that you now apply to your work with Lucifer? I guess I'm just careful of who I work with. I certainly don't need any drama in my life. The people who I have in Lucifer are really all amazing; nobody has a poisonous ego in this band. Everybody just wants to play and sincerely enjoys it. We're all very respectful towards each other, and it's really great. Everything is really easy in this band. I'm just doing the same thing I did with The Oath; I did it very passionately and I put a lot of thought into every move regarding the band. I do the same thing [with Lucifer]; I'm just careful of who I work with. How has Lee and Rise Above helped you achieve what you've set out to do with this band? Obviously, it came about because he signed us with The Oath. We got closer and closer in touch during the process of The Oath dying. He was there; we would speak a lot about the whole situation. I mentioned to him, 'I think I'm going to start a new band.' He encouraged me and said, 'Yeah, you have my support. I believe in you as an artist.' For Rise Above, it wasn't easy either that The Oath went. You invest a lot of money into a band, and they disappear and don't even properly tour for the album and so on. Labels put a lot of money into this kind of stuff. So Lee was completely supportive of me starting a new band. That definitely made it easier for me. I did have the drummer already from The Oath, Andrew, who is now playing in Lucifer. The bass player who plays in Lucifer now, Dino, was already in talks to play in The Oath, so I had those two already. When it was about time to look for a guitar player, Lee said to me, 'Why don't you ask Gaz? Gaz has so much to give. He's playing all the time, and he really liked The Oath. Just ask him.' I did, and he was up for it right away. Gaz is no stranger to this scene. How did having such a veteran musician involved ultimately help shape this new album? Before I asked him, I did have a clear vision of how I wanted Lucifer to be. I wanted Lucifer to be a different band from The Oath. I didn't want to repeat the story, because I thought there was just no point. Don't get me wrong, I love The Oath and I'm very proud of that one album that we did, but I wanted Lucifer to be stylistically slightly different. The Oath was more of a Heavy Metal band in general. Even though there are similar core influences, I wanted Lucifer to be more of a Heavy Rock band with a lot of Doom. When I started talking to Gaz, I explained to him what I wanted. He said, 'How about you give me references of songs?' I said, 'Well, how about The Scorpions' In Trance album? How about '70s Pentagram? How about Black Sabbath's Technical Ecstasy album?' I was giving him songs as references and idea. He listened very carefully when I explained what I wanted, and then sat down with that influence and started making riffs and writing songs. He sent me tons of MP3s. I sorted through it, and then we would discuss the stuff that I picked. I said, 'Well, I like this one number really a lot, but there's one section that's maybe too Heavy Metal. For my concept with Lucifer, maybe we take out that bridge with all the crazy solos, and we put in a moodier part.' We would then arrange it together. When the songs were done, I would sit down and write the melodies and lyrics. All the songs on the album are written by Gaz and me together. Certainly, his style of guitar playing is dominant on this album. In my eyes, he's one of the best of the genre as a guitar player, and you can hear that it's him playing if you know Cathedral. That definitely shaped the sound of the band. Absolutely. It's interesting you mention Technical Ecstasy. That's such a great album that few very people acknowledge when they think of Black Sabbath. Yeah! For me, it wasn't love at first sight with that album, either. That came later. Obviously, when you're a teenager, you listen to the typical early Sabbath stuff. I discovered Technical Ecstasy as a gem maybe four or five years ago. I didn't realize before what a great album it actually is. I'm really obsessed with it; I absolutely love it. Obviously, there are several different styles within the Metal genre. Lucifer, to me, seems to be very much going for that '70s Pentagram, Sabbath, Hammer Films, Doom vibe. What is it about that particular aesthetic and musical direction that appeals to you? I've been listening to Metal since I was like 13 or so, which is over 20 years. I went through various phases and stages musically in Metal and Hard Rock and so on. The older I got, the more I kind of looked backwards to where everything is coming from and where the roots are – and why the roots are there with bands like Deep Purple, Black Sabbath, Aphrodite’s Child, Lucifer's Friend, Uriah Heep and all that stuff, and why all the Metal bands are somehow based on those forefathers. There's a reason for it – because it's so good. I think when you're a musician and a music fan, you realize that you cannot reinvent the wheel in Heavy Metal and Hard Rock; there's been a lot done. For me, it's just because I listen to that stuff so much – late '60s, '70s and some '80s stuff...That's mostly what I listen to in the Heavy Metal and Hard Rock genre. That's what I'm influenced by, so it's a natural thing to have the music influenced by it. Everybody in the band is listening to this old stuff, because that's where the quality lies. As a drummer, I was really impressed by Andy's playing on this album. How would you characterize the impact he has had on the band so far? Andy's great; that's why I took him over from The Oath. Back then, when we were looking for a new drummer for The Oath, he wrote to me. I'm a huge Angel Witch fan; I thought, 'That's amazing! The drummer of Angel Witch is asking me to play in The Oath! Of course he's killer, and we'll take him.' I took him into Lucifer as well, and he's such a good person on a personal basis. He has a certain style of playing, and he's such a music nerd, too. He listens to a lot of Prog stuff as well, and there's something very organic about his playing that I like. You currently have Dino on bass. How permanent is this current lineup of Lucifer? I would say it's very permanent. I think everybody in the band is really excited about what we're doing right now. We are really excited to go on tour. In the long run, maybe we will try to add a rhythm guitar player. In the beginning, Gaz said he would write the album with me and record it, but then maybe we would have to find guys to play that stuff live. But it turned out that it's impossible to find anyone who can play like Gaz, you know? Also, he's so fond of the album and loves it so much that now he's on board. We might want to add a rhythm guitar player because Gaz is playing so much on the album that it would maybe give it even more depth live, but the core of the band stands. What are your touring plans for the States? We just got a tour confirmed. We're starting off July 30th in California, and we're going to go on tour for a whole month with High On Fire and Pallbearer throughout the US. We're going up the west coast, up to the north for a few dates in Canada and then down the east coast. It ends in New Orleans. Lucifer was born out of some fairly rocky times. What are your biggest hopes for this band now that the struggles of last year are in the rearview mirror? *Some portions of the above interview were edited for clarity.